If you’ve been following my blog for a while, you probably know that I am not a great baker. I seem to have trouble with the precision required in measuring the ingredients. I prefer to just toss in a bit of this and a dash of that. Unfortunately, baking doesn’t work that way. I’ve tried cakes, breads, and a very laughable batch of cupcakes. But cookies? Cookies I can do. 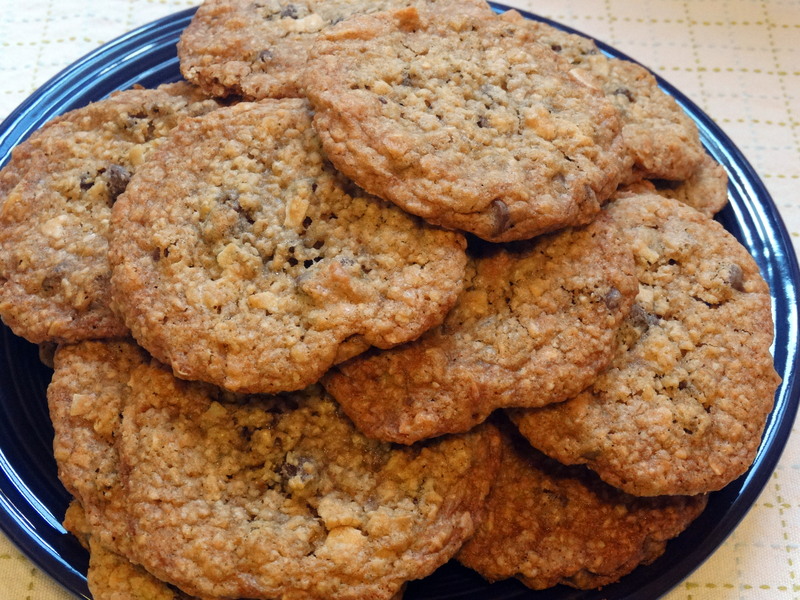 Have you ever had one of Potbelly Sandwich Shop’s chocolate chip oatmeal cookies? They’re amazing! Plain old chocolate chip cookies are great, but sometimes, more is better. When I came across this recipe, I knew I would make it over and over again for years to come. You will need butter, brown sugar, white sugar, eggs, milk, vanilla extract, flour, baking soda, salt, rolled oats, chocolate chips, and shredded coconut. 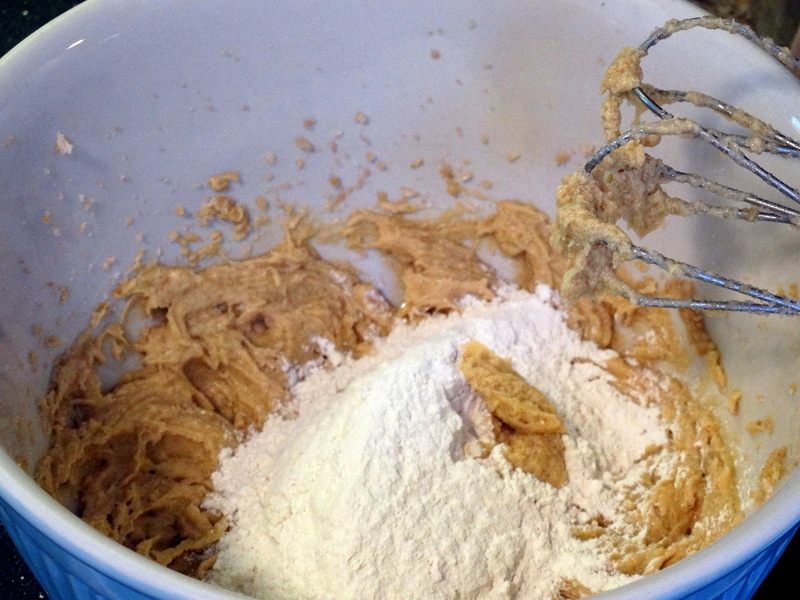 Using a mixer, combine 1 cup softened butter, 1-1/4 cups packed brown sugar, and 1/2 cup white sugar in a large mixing bowl. Next, beat in 2 eggs, one at a time, then mix in 2 tablespoons milk and 2 teaspoons vanilla extract. 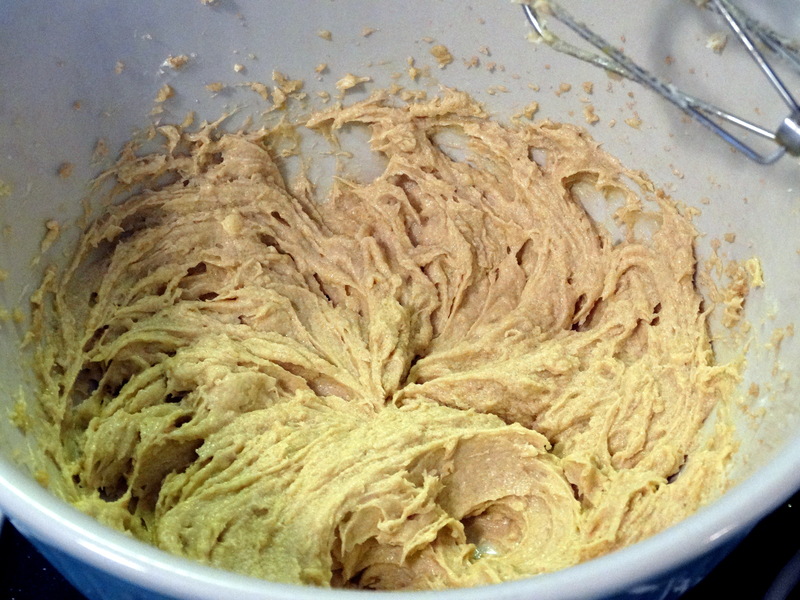 In a medium mixing bowl, add 1-3/4 cups flour, 1 teaspoon baking soda, and 1/2 teaspoon salt, using a whisk to combine. Slowly add the flour mixture to the sugar mixture until well combined. Stir in 3 cups rolled oats, 2 cups semisweet chocolate chips, and 1 cup shredded coconut. Drop the batter in rounded tablespoons onto a cookie sheet and bake for 10 to 12 minutes. Cool for 1 minute on the cookie sheet before transferring to a wire rack to cool completely. 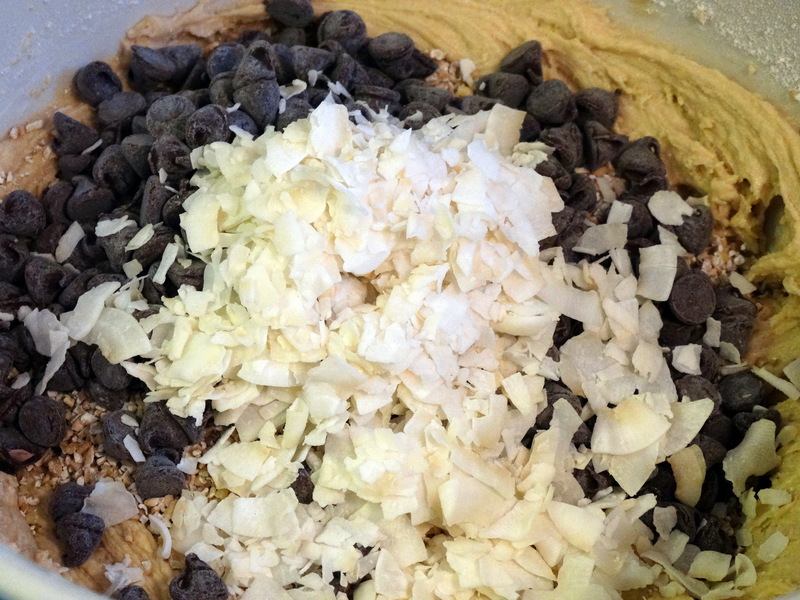 Depending on how many cookies you “need”, you may want to split the dough in half and freeze some for later. Enjoy! 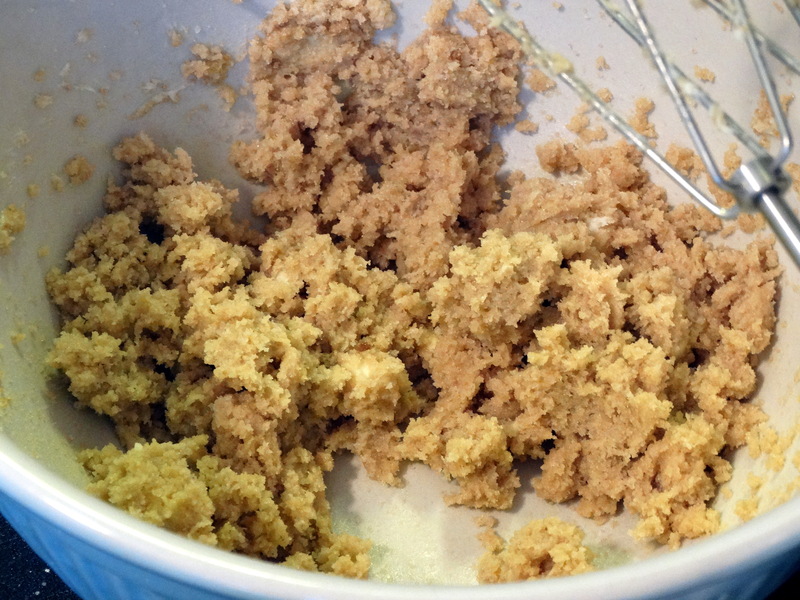 2) Using a mixer, combine 1 cup softened butter, 1-1/4 cups packed brown sugar, and 1/2 cup white sugar in a large mixing bowl. Next, beat in 2 eggs, one at a time. Then mix in 2 tablespoons milk and 2 teaspoons vanilla extract. 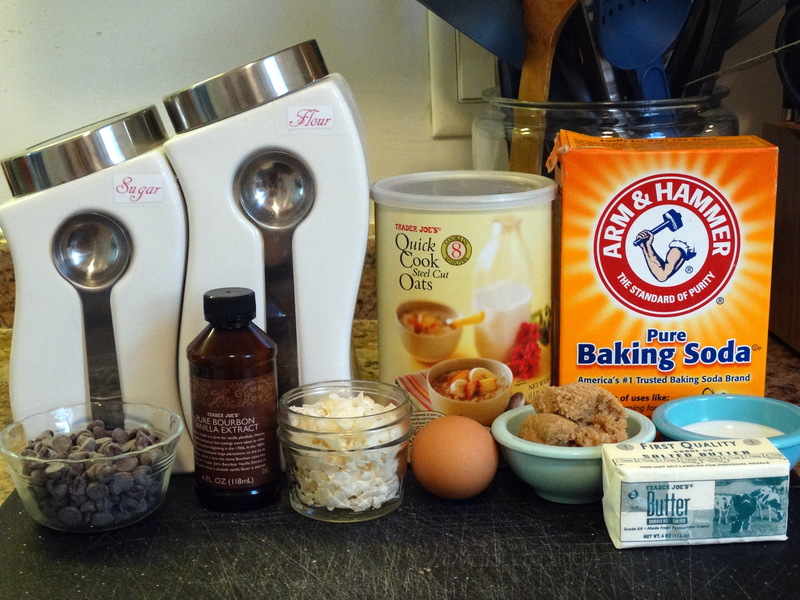 3) In a medium mixing bowl, add 1-3/4 cups flour, 1 teaspoon baking soda, and 1/2 teaspoon salt, using a whisk to combine. 4) Slowly add the flour mixture to the sugar mixture until well combined. Stir in 3 cups rolled oats, 2 cups semisweet chocolate chips, and 1 cup shredded coconut. 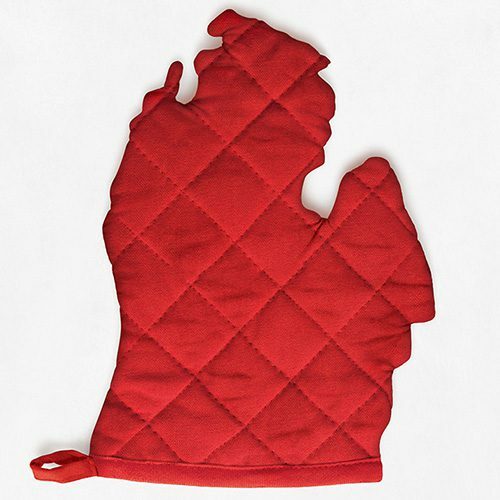 5) Drop the batter in rounded tablespoons onto a cookie sheet and bake for 10 to 12 minutes. Cool for 1 minute on the cookie sheet before transferring to a wire rack to cool completely. Enjoy!